Crinum Amoenum This crinum typically blooms in July, with slender-petaled, fragrant white flower that are highlighted with long, wine red stamens. They are unusual, looking like nothing else in the garden. 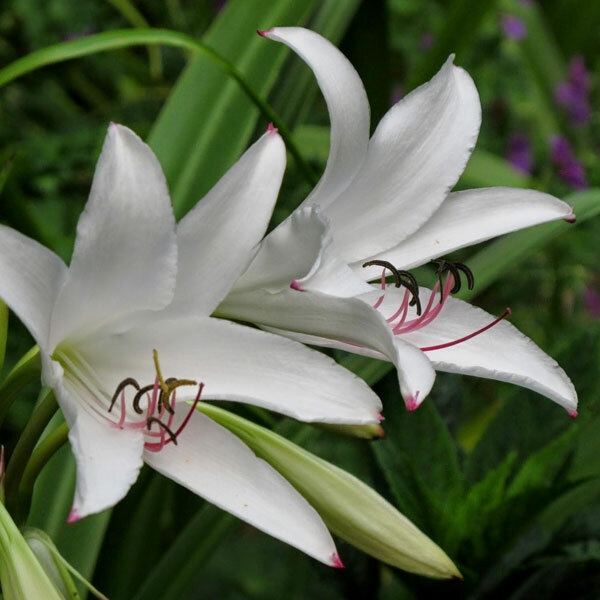 Originating in India, Crinum amoenum is both an excellent garden addition and a plant super well suited to container growing. 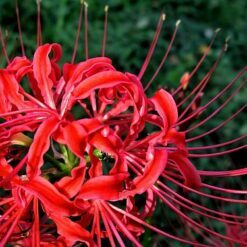 (See Crinum Planting Guide for tips to produce more flowers.) 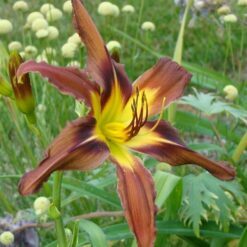 This variety forms a nice clump and doesn’t spread with runners as some crinums do. Crinum Amoenum are much loved in warm weather regions for their easy care (they’re all over the South growing unattended in abandoned home sites), showy blooms and fabulously fragrant flowers. 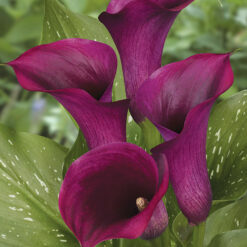 Gardeners who live where winters are cold can grow these showy beauties in containers. 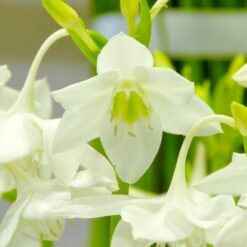 The crinum plant performs as an herbaceous perennial in colder areas, dying to the ground in winter and shooting up with the daffodils and tulips in spring. 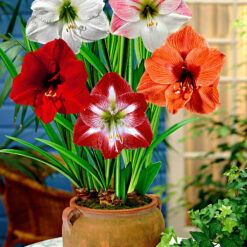 Plant the large bulbs in full sun or filtered light in early spring. 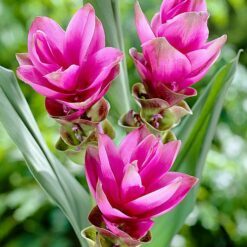 Bulbs should not sit in water, soil should drain well. 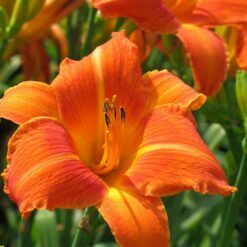 They perform best in full sun (but not burning sun, partial shade from the extreme heat of the sun) so give them all they can get, and a well-draining soil. 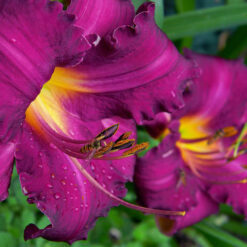 They make wonderful specimens and very attractive pool plants for landscaping by a pool.